NOVEMBER 14, 2017 - One social enterprise is appealing to businesses to donate their old laptop computers to be given to the homeless. SocialBox.biz and the Laptops for Homeless People Initiative aim to distribute at least 1,000 laptops by 2020. These laptops will be distributed by homelessness charity Thames Reach to people who are using its services, with a mission of giving them their lives back and empowering to do the things that many take for granted. For instance, refurbished laptops can help those affected by homelessness apply for jobs and communicate with family. SocialBox.biz is reaching out to socially responsible, sustainable companies who want to give back to the London community. These businesses can stand as an example of charity and humanitarianism while promoting others to do the same. Businesses and individuals alike can track the initiative with the following hashtags as the campaign is leveraging social media to raise support and awareness for The Laptops for Homeless Support Initiative: #corpgov, #cio, #ukceo, #boards, #ciochat, #ciouk, #esg, #csr, #uk, and #london. 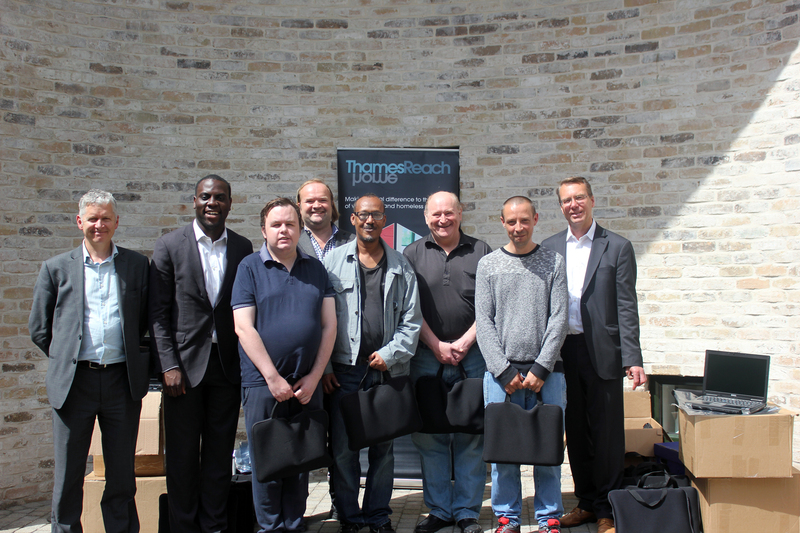 @SocialBoxBiz donated a laptop to a jobseeker on @ThamesReach’s @stepuplondon project. She now has a new job thanks to it. Great initiative! They are appealing to businesses to contribute their old but still usable laptop computers so that they can be reused by people who have experienced homelessness. The goal is to distribute at lest 1,000 laptops by 2020 via homelessness charity Thames Reach to the people using its services. In order to apply for jobs, reconnect with family and friends, and have an online presence today they people need access to laptops.